The Internet is widely used in PC and Smartphones using Internet browsers. Browsers provide a platform to access the Internet easily. And google chrome is one the most used browser in both PC and Smartphones. Recently I experienced an unusual error called DNS_PROBE_FINISHED_NO_INTERNET. It is really frustrating when we try to do work on the internet and this type of error appears on browsers. Mainly DNS probe finished no internet error occurs in google chrome browser. So if you are reading this I assume you are facing this error on one of your browser. If you are then you don’t have to worry about it. Because here I am sharing some methods to solve DNS_PROBE_FINISHED_NO_INTERNET on your browser. Follow any of the methods to get rid of this issue, if a method does not work try another method. You can solve the error DNS_PROBE_FINISHED_NO_INTERNET be resetting Winsock catalog back to the default settings. Winsock is the windows socket which is an API which allows communication between the windows network software and different network protocols such as IP/TCP. Now you have some idea about Winsock, let’s see how to reset Winsock Catalog. Click on start icon from the bottom left. 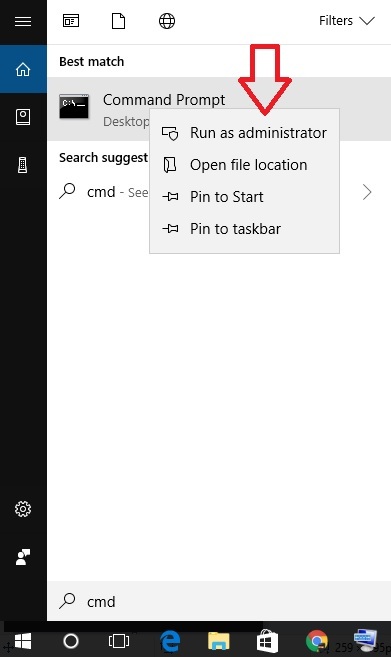 And open CMD or Windows PowerShell as an administrator. You can also open it by searching CMD. Once the CMD or command prompt is open now type the following command: “netsh winsock reset” without inverted commas and hit enter. Now it will show the message “Successfully reset the winsock catalog“. Now you can access the Internet without encountering any error. This method is really easy and doesn’t take much time. So follow this method first and if it doesn’t work don’t worry we have more solution for the error DNS_PROBE_FINISHED_NO_INTERNET. Changing DNS Address can be one of the easiest solutions for the error DNS_PROBE_FINISHED_NO_INTERNET. But it doesn’t work for everyone. I have tried this method on five to six devices and it worked on four devices. I am sharing this because it takes around one-minute max. So it is worth trying to follow this method. In the taskbar Right click on Internet icon (Ethernet or WiFi icon). From options select open Network & Internet settings. Now go to Change adapter options. 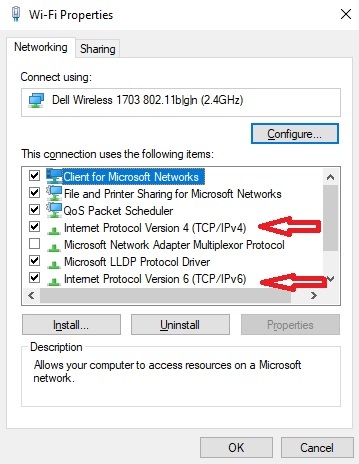 Right-click on the network connection that you are using. Open Properties of the particular Network connection. Then double-click on IPv4 or IPv6 (if you are using IPv6) Protocol. Now under general tab select use the following DNS server addresses. Enter the following DNS address: 8.8.8.8 and 8.8.4.4 for IPv4 and 2001:4860:4860::8888 and 2001:4860:4860::8844 for IPv4. Check Note for more Info. And then you can use the Internet without any error. Note: The mentioned DNS address is for Google server. You can also use other DNS servers as well. Check out Best DNS servers with Address. Sometimes the error DNS_PROBE_FINISHED_NO_INTERNET appears due to the old version of network adaptor. 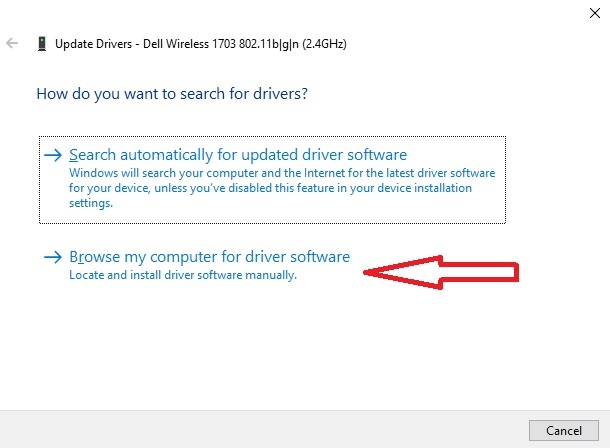 So, in this case, you have to update the network driver. Here I will write the steps how you can update the Network adaptor. 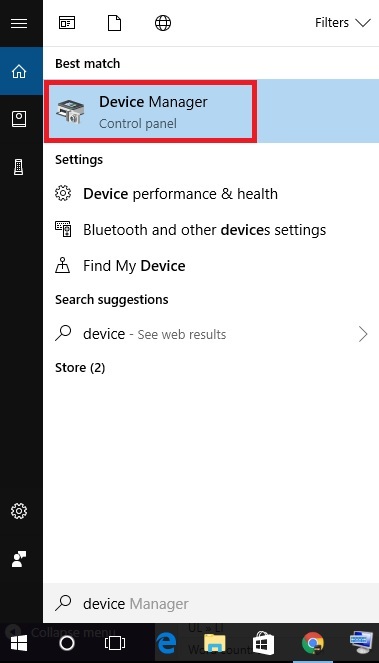 Search for Device Manager or Right Click on the Start icon and open device manager. 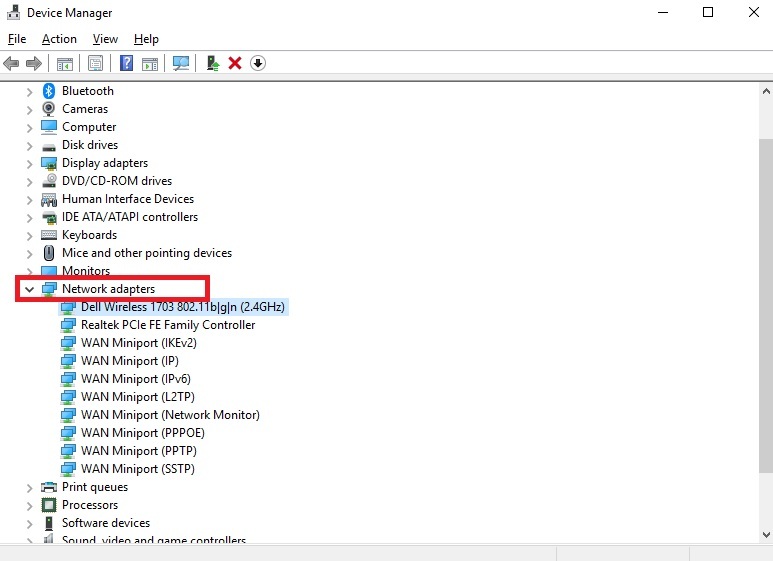 In device manager expand the Network Adapters option. Right-click on the Adapter that your Internet is using. It would be different for LAN and WiFi. 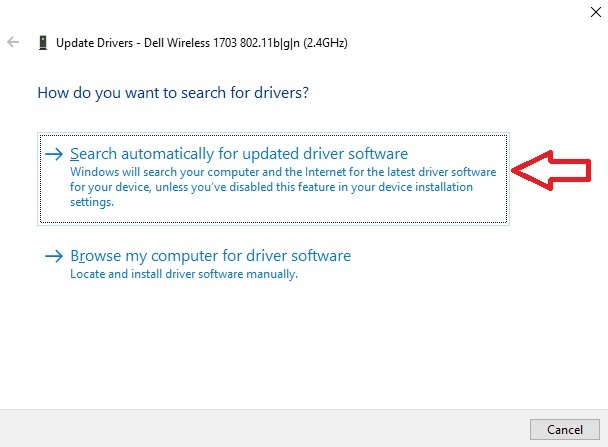 You will see two options select Search automatically for updated driver software. Now it will search for the driver and then update it. 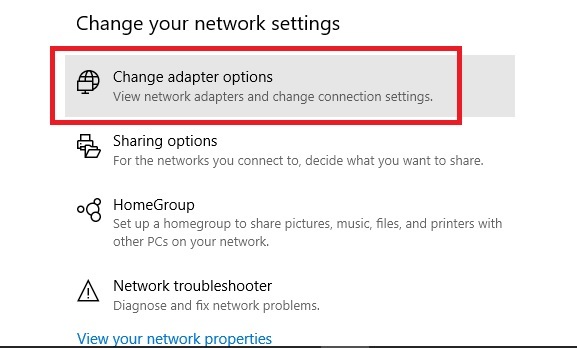 You can also manually download the latest version of Network adapter and Install it by selecting Browse my Computer for driver software. After updating the network driver you will be able to access the Internet. Due to the collision of different IP’s on the same system may cause the error DNS_PROBE_FINISHED_NO_INTERNET. So to solve the error you need to reset the Internet Protocol Address. Resetting IP Address is easy and very simple just follow the given steps. Now check the internet is working or Not. If not Restart the PC. Done now you can access the internet without error. 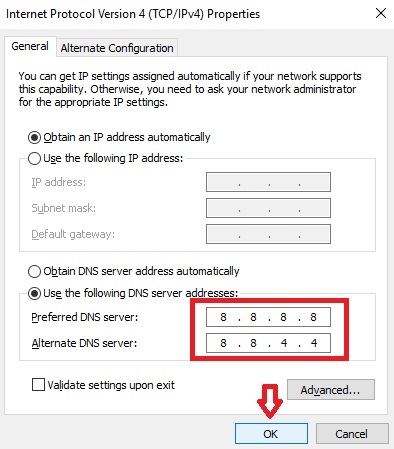 These are the steps that we have covered in this topic to fix DNS_PROBE_FINISHED_NO_INTERNET error. I would suggest trying these methods from the start as mentioned. If you still face the problem after applying all the methods make sure to ask using the Comment section. You can also reach out to us using Facebook. I hope this post is helpful for you.